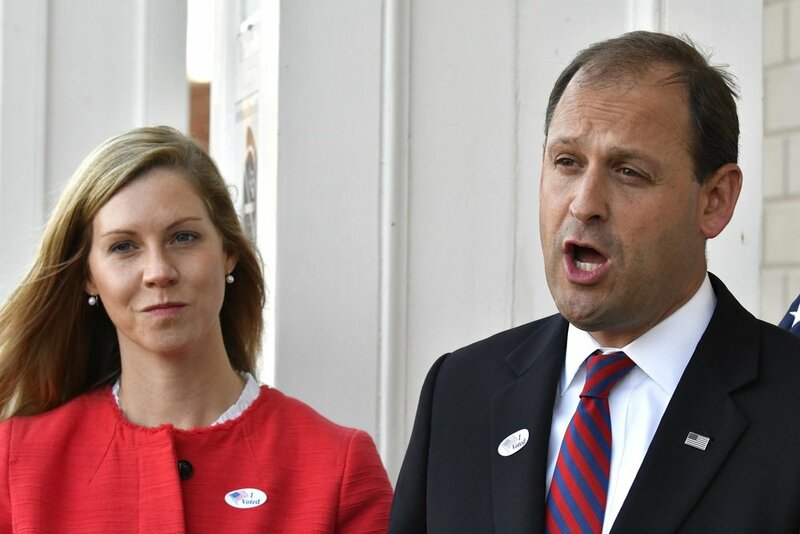 Republican Andy Barr of Kentucky and his wife outside the polling station in Lexington, Kentucky on Tuesday. Republican Andy Barr of Kentucky won a close-fought race that Democrats had targeted in a bid to shift the House to Democratic control. Barr turned back a strong challenge from Democrat Amy McGrath in a district that supported President Donald Trump two years ago. Barr won by 22 points in 2016, but McGrath waged an aggressive challenge, including TV ads showing her in front of fighter jets and with her young children.